Over the past two years, local mining engineering consultancy Ukwazi has registered an increase in demand of between 20% and 30% for its service offering across Africa. 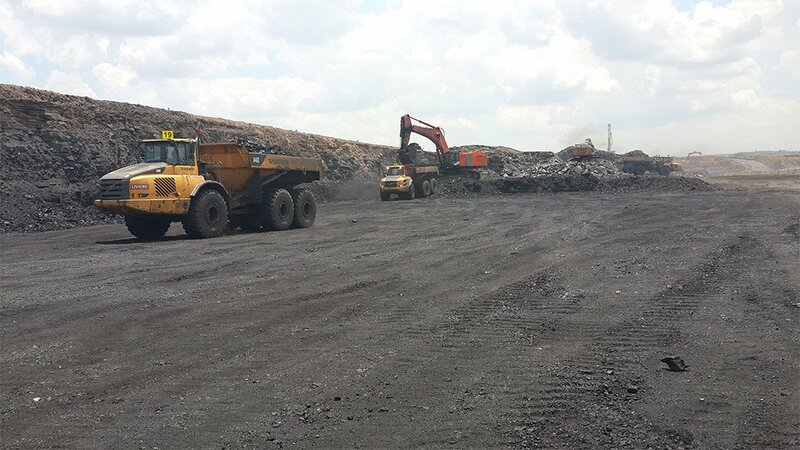 The demand can mostly be attributed to the openpit operations across South Africa and Africa, but also to openpit operations transitioning to massive mining-type underground mines, says Ukwazi MD Jaco Lotheringen. Ukwazi’s growth is noticeable through the number of renewed contracts for longer periods and the new clients acquired in 2017; the company also has pipeline clients requesting additional services, mostly in the Southern Africa region. Lotheringen also attributes the rise in demand for the company’s services to some of Ukwazi’s core service offerings, such as technical advice, support and services, which the company is supplying to operations in South Africa, the Democratic Republic of Congo (DRC), Zambia and West Africa as part of the ore reserve statements and public reports for bulk commodities and precious metals. The company is also providing medium-term and budget mine plans with scenario, capacity and practicality testing, mostly for Southern Africa operations in diamonds, manganese, iron-ore and coal. According to Ukwazi mining lawyer Spencer Eckstein, mine planning is a critical function for any operation, as it identifies mining risk, determines requirements and forecasts production cost, including whether mining companies can meet their set targets or produce the correct quantities and qualities and what remedial strategies to implement. These factors affect the revenue that companies are able to generate from saleable products. Lotheringen explains that this is a popular service because Ukwazi has a large specialist skills base and capacity with regard to mining execution, planning and costing. The company can also provide these mine and budget plans within a reasonable timeframe with stakeholder buy-in as part of the process. Among Ukwazi’s current ongoing projects is the supply of short-term planning services for iron-ore, manganese and copper operations in the Northern Cape and the DRC. There has also been increased demand for its technical services associated with pillar mining operations and projects. Lotheringen tells Mining Weekly that this is a specialist service that entails pillar mining of older, underground coal mines using opencast mining methods. Further, the company’s most sought-after service is the strategic mine planning service and feasibility studies. These require not only specialised and experienced personnel but also several iterations to identify the optimal plan or schedule for clients, which, in turn, enables them to inform markets, mine management and commodity marketing teams. Underperformance in mining operations can, in some instances, be attributed to a low compliance to plan. This could be caused by an impractical plan in the first place, a lack of stakeholder buy-in, an organisational culture that does not value collaboration of stakeholders or where an appropriate forum to facilitate collaboration and transparency is not yet in place, says Ukwazi head of site services Ticharwa Chikosha. Mining companies neglect the design because of the need for short-term success against strategic, medium-term success, and they usually place more importance and urgency on meeting production quotas, which actually results in production losses, Chikosha adds. Eckstein says the company, from a technical perspective, has enough experience and is well-positioned to effect a turnaround in underperforming mining operations. To assist underperforming mining operations, Ukwazi implements strategic mining services, such as value engineering, which assists in analysing the complete value chain and puts process and forums in place to encourage transparency and collaboration to maximise value. Successful turnarounds are usually more to do with people and process than plant and equipment, says Chikosha. Ukwazi is working on a project feasibility study for a local iron-ore project, where, for example, the company recommended that the client change the location of the processing plant to save significant capital and operational costs while greatly improving efficiency. The company is also offering a new service, systems integration, which it has been piloting in operations in the Northern Cape, in South Africa, and in West Africa since 2017. “It is a unique and pragmatic approach to manage the risk of system integration, of which the latter is definitely a product offering for the future and is part of the digitisation in mining,” says Lotheringen. Chikosha and Eckstein emphasise that systems integration is an important trend because mining companies are using separate systems for individual mining functions, such as planning, production, logistics, management reporting and accounting. The systems integration service will automate and combine systems, which will simplify the mining operations and increase the performance of functions. The company is expecting an increase in demand for technical services from small to medium-sized mining operations seeking outsourced mining services, to complete their technical department, because the turnkey nature of Ukwazi’s outsourced services offering offers technical value to the sector. Lotheringen is also hopeful that the outsourcing of technical mining services becomes the operational norm in major mining companies, “as technical specialists can provide effective and turnkey specialist services based on proven track records and a large skills base”.